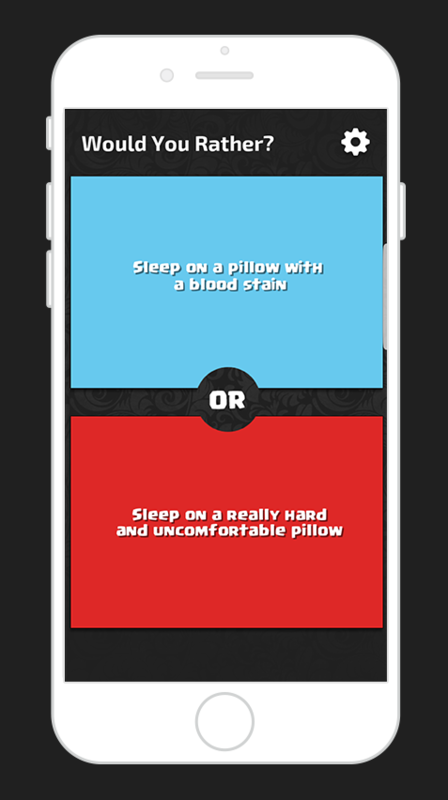 Sleep on a pillow with a blood stain or Sleep on a really hard and uncomfortable pillow. Select the answer that you think you would choose if you had to choose only between two options. Multiplayer: Each player is asked the same 5 question. At the end, the answers are compared to see who chose what.